The importance of a good night’s sleep has hit the headlines again recently. Poor or irregular sleep is linked to a myriad of health problems and can affect almost every aspect of our lives. 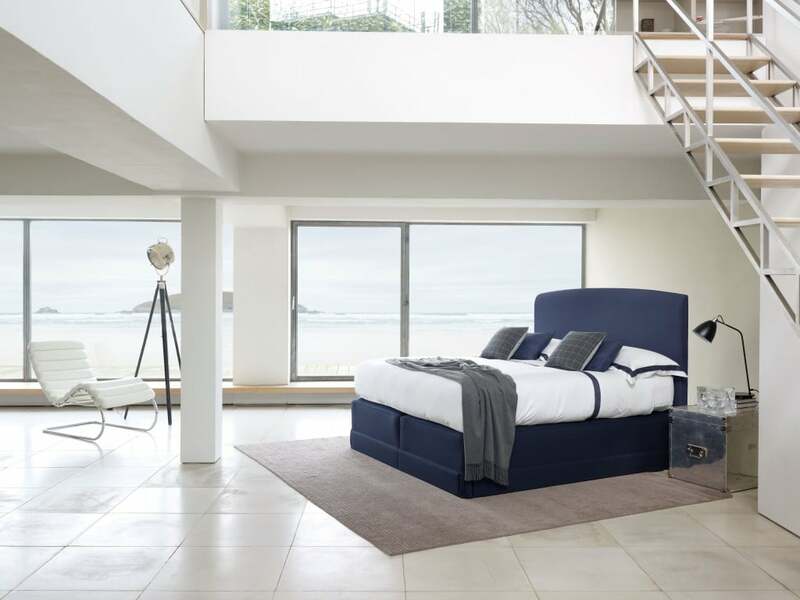 Dr Neil Stanley, independent sleep expert for luxury British bed maker, Vispring, offers advice to interior designers and their clients about choosing the right bed and creating the ideal environment to ensure a good quality sleep. Sleep is vital for good physical, mental and emotional health – consistently bad sleep is associated with an increased risk of heart disease, diabetes and obesity; lack of motivation and alertness; and mood swings, irritability and depression. But it isn’t the quantity of our rest that is important, it’s the quality. Everyone’s sleep requirement is different – it’s a myth that we all need eight hours per night. Some people will function well on three hours, while others require 11. To me, a good night’s sleep is one that leaves you feeling refreshed in the morning and more productive throughout the day. Bedrooms should be quiet, dark and the correct temperature – around 16-18oC is perfect, it’ll feel warmer under the duvet. Good ventilation is key for sleep, so ensure it’s factored in. You should also specify the biggest possible bed for the room – studies have shown that even a slightly bigger bed can make a huge difference to sleep quality. If the bed is shared, a bigger surface area will minimise the disturbance caused by a partner’s movements. If the bedroom isn’t particularly large, consider a divan with drawers for storage to allow more space for a bigger bed. For more advise on choosing the perfect bed, please contact [email protected] or call 01752 366 311 ext. 111. On Twitter, follow Vispring (@Vispring) and Dr Neil Stanley (@VispringTips).